I am continually inspired by so many of you who are rocking the Weight Watchers plan right now. I’ve had a few of you ask me for some recipe ideas and I wanted to make sure I shared some of the meals I made this week! 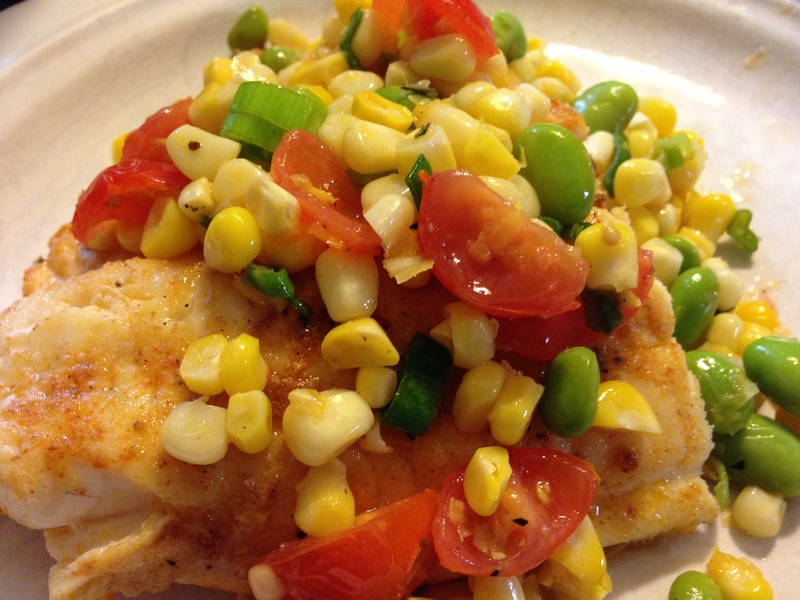 Monday night was Cooking Light’s Blackened Catfish (4) with Sauteed Corn and Cherry Tomatoes (2). 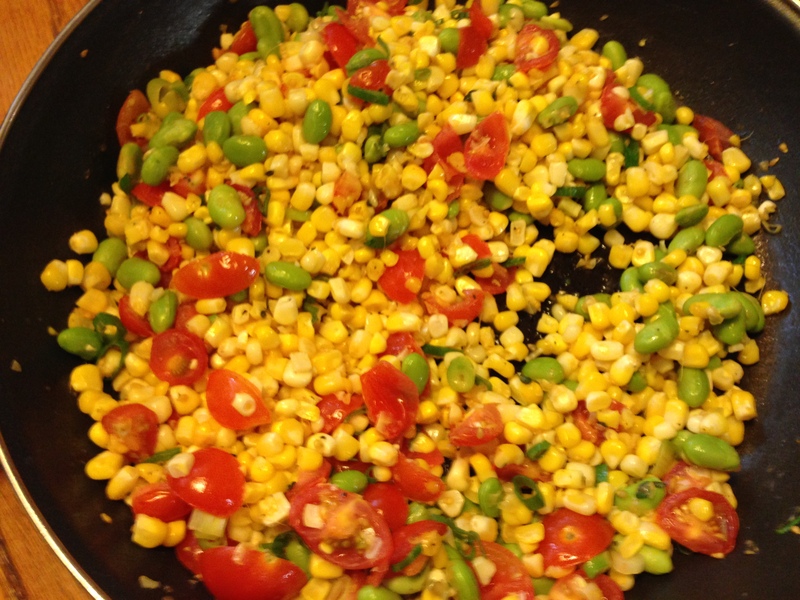 I added edamame, which gave me an additional 3 points. You can easily omit that if you want to stick to the 2-pointer side. 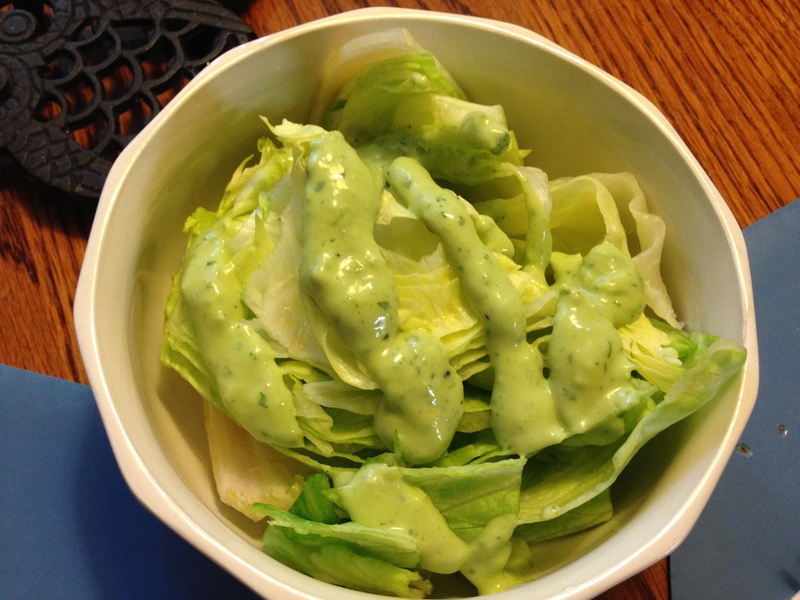 Then I made some of Gina’s (aka Skinnytaste) Zesty Avocado Cilantro Buttermilk Dressing (2) to go over some iceberg lettuce. 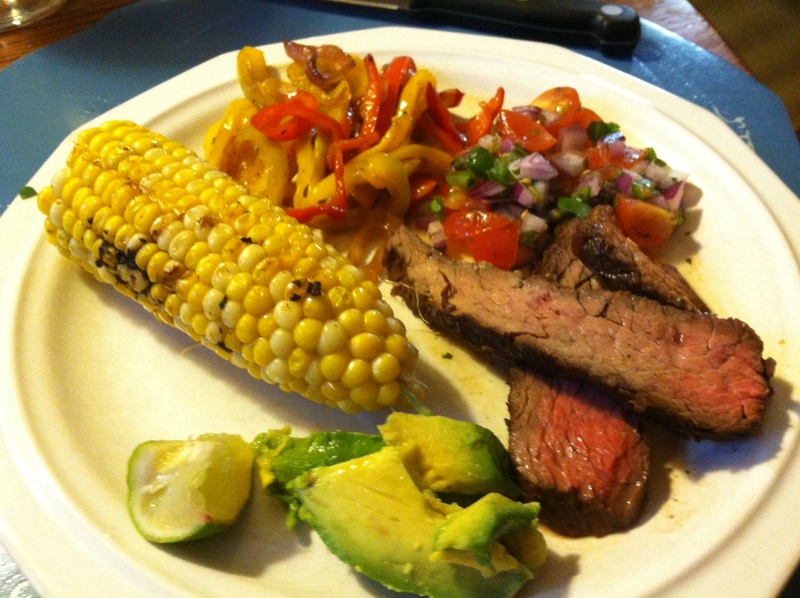 I find that a side salad–no matter what is (or isn’t ) in it– helps a lot at dinner. Just gives you a little extra to eat as you hack your fish down to the appropriate size (mine is probably a little too big, but I didn’t eat it all) and measure your 1/2 cup of anything. You just need some “extra” every now and then. And yes, I do realize I’m talking about splurging on some iceberg lettuce, which I realize is totally pathetic. I accidentally put most of the rub on the first catfish fillet, so let’s say mine ended up with a little less flavor than the other one! Who knew edamame would add 3 points to the meal? Well, whatever. It was delicious. Now, when Gina says it is “zesty,” she’s not playing around. This dressing is delicious and makes you think for a half second you are splurging on some ranch. It definitely has a bite, so be sure to cut back on the green onions if you want a milder experience. 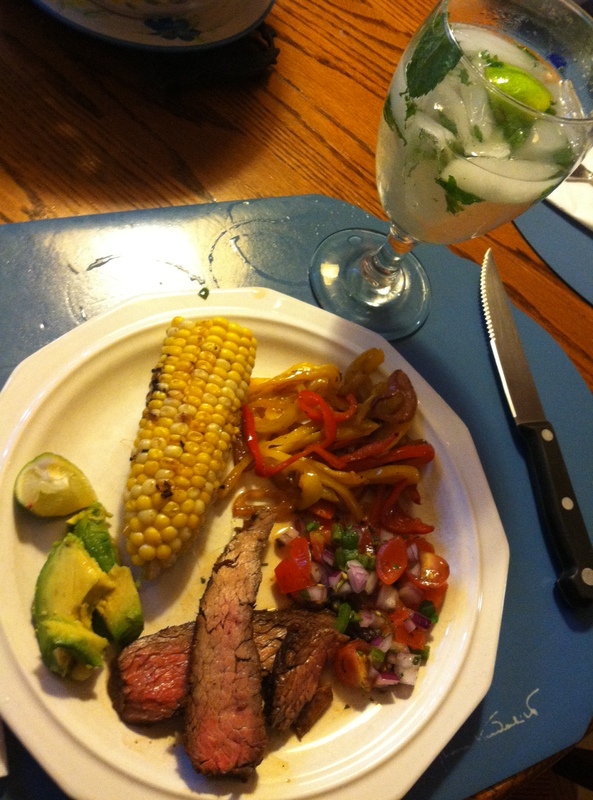 Tuesday night, we had Cooking Light’s Mojito Strip Steaks with Pico de Gallo (5) with Pico De Gallo (1), Sauteed peppers and onions (1 or 2), Corn (1/2 cob = 1 pt), teeeeny tiny amount of avocado (1), and….wait for it….wait for it…a Cuban Mojito (2 points). It is so hard to find a low calorie cocktail, but Gina (Skinnytaste) knows what we need. Next time I’m opting out on the Splenda and will probably just add a little more Sprite Zero for the sweetener effect. I know, right? 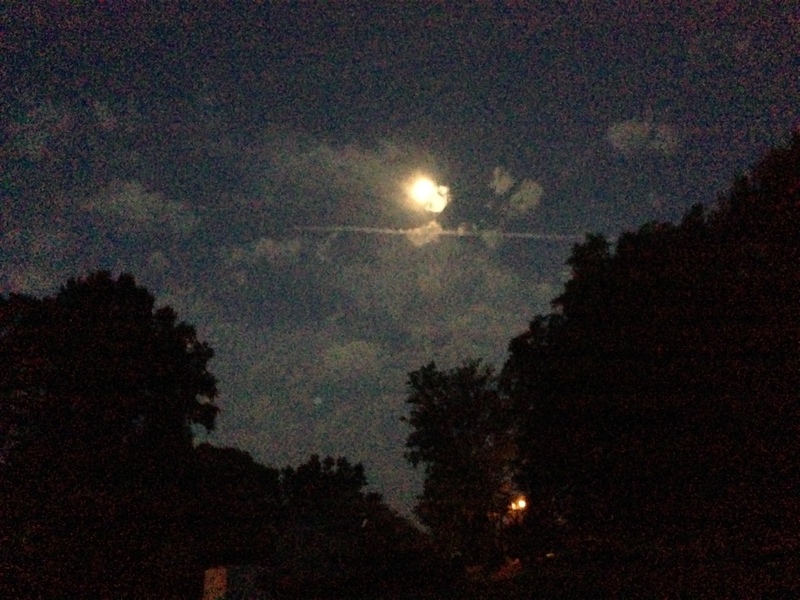 It’s called DARKNESS and we shouldn’t be experiencing that when we WAKE UP! Hope y’all are having a good week. I plan to update you about some community food stuff soon, so stay tuned for that!